pension to people for want of biometric national ID, Aadhaar card, and said that alternate means for identification should be used if needed. The Employee Provident Fund Organisation (EPFO), in a circular to all heads of pension disbursing banks and postal services yesterday, listed out alternate mechanism of handling pensioners who do not possess Aadhaar or those whose identity cannot be authenticated due to wear out of finger print. It asked banks to ensure that pensioners are facilitated for Aadhaar enrolment and a paper life certificate is accepted, in place of a digitally generated one, for pensioners who have enrolled for Aadhaar. For those whose finger print wear out has made authentication difficult, banks will make provisions for IRIS scanner along with the fingerprint scanner in bank branches, it said. EPFO said the agreement it signed with banks for disbursement of pension lays down the duties and responsibilities of banks including collection of Life Certificate/Non-re-marriage certificate in November every month from pensioners and forwarding the same to EPFO field offices for necessary action. Concerned branches of the banks were doing this by collecting Life Certificate in paper form. But since 2016, the Life Certificates are being obtained from the pensioners digitally as Jeevan Pramaan in place of the Life Certificate in paper form being submitted by the pensioners to the bank earlier. Submission of Jeevan Pramaan digitally has been facilitated through UMANG APP in the mobile phones also. “Some complaints have been received from pensioners who are being turned away and denied pensions for want of Aadhaar or Aadhaar fingerprint authentication not being successful due to poor fingerprint of the beneficiary or due to network/ connectivity or other technical reasons. 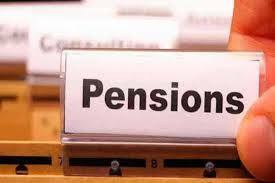 Because of this, pensioners are not able to get and submit Jeevan Pramaan,” the circular said. For giving pension to the pensioners who cannot get and submit Jeevan Pramaan on account of not possessing Aadhaar, EPFO asked banks to ensure that such pensioners are facilitated for Aadhaar enrolment. “Banks should also make special arrangement for the bed-ridden, differently abled, or senior citizens who are unable to visit the Aadhaar involvement Centre,” it said. Till such time Aadhaar is assigned to such pensioners, a paper life certificate may be accepted after collecting Aadhaar enrolment application receipts from such pensioners. “After due verification through alternate identification documents as deemed necessary by the bank, pensions may be disbursed,” it said. An entry with necessary details such as paper life certificate, Aadhaar enrolment application receipts and the like may be recorded “in an exception register which should preferably be maintained in an electronic form”. It said. In case where finger print or IRIS authentication is not feasible for any reason, an entry should be made in the exception register with reasons and pension may be provided on the basis of paper life certificate and physical Aadhaar card or E-Aadhaar card of the pensioner after due verification as deemed fit by the bank. “The exception register which would contain the details of exception granted alongwith paper life certificate, Aadhaar number or Aadhaar enrolment ID etc, maybe reviewed and audited periodically by senior management of the bank,” the circular said.